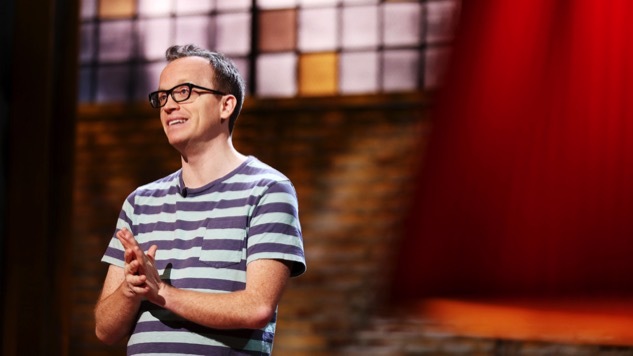 Comedian Chris Gethard’s off-Broadway solo show Career Suicide is coming to HBO on May 6. The show first debuted last fall at the Lynn Redgrave Theater, and quickly received enough critical acclaim to extend its run due to consistently selling out of tickets. Gethard announced the HBO premiere date via Twitter, where he wrote, “Honored, excited, + nervous to announce my one man show debuts on @HBO May 6th. Excited for people to see it and hope I make you all proud.” See the tweet below. You can read Paste’s recent interview with Gethard here, and find more info about his show here. Career Suicide airs on HBO at 10 p.m. EST/PST on Saturday, May 6.